Richmond, Va. – Nov. 10, 2015 Driven by a history of innovation and a quest for continuous improvement, Thomas Built Buses will celebrate 100 years of business in 2016. The company’s 100-year anniversary was announced today at the National Association for Pupil Transportation (NAPT) 41st Annual Summit by Caley Edgerly, president and CEO of Thomas Built Buses. Thomas Built Buses enters its second century with a continued drive to innovatively meet the needs of transportation directors, drivers, and most importantly, students. Fittingly, Thomas Built Buses also announced today its launch of BusWise ™ Technologies, a robust and customizable technology platform specifically designed for the company’s Saf-T-Liner® C2 bus model that combines the latest innovations in safety, efficiency, serviceability and fleet management. In 1977 Thomas Built Buses introduced its first bus chassis and began producing the popular Saf-T-Liner® transit-style bus. Thomas expanded to manufacture a smaller school bus, the Minotour®, and entered the commercial transit market in the 1980s. In 1998, Thomas Built Buses became a wholly owned subsidiary of Freightliner LLC, a Daimler company. The strength of Freightliner LLC, now known as Daimler Trucks North America LLC, has helped Thomas Built Buses grow and adapt to changes in the transportation industry. In 2004 Thomas Built Buses added a 275,000 square-foot, state-of-the-art plant in High Point, N.C., to manufacture the Saf-T-Liner® C2, a next-generation conventional bus designed from the ground up for superior durability, reliability and safety. Leveraging the success of the C2 and responding to customer demand for green technology, Thomas Built Buses introduced the hybrid Saf-T-Liner C2 ® in 2007. In 2011, Thomas Built Buses became the first, and remains the only, school bus manufacturer to achieve Zero-Waste-to-Landfill operations. Thomas Built Buses also developed the C2 Propane and the C2 CNG, which enable customers to determine which fuel best fits their needs. These products demonstrate the company’s role as both an industry leader and a driving force in facility waste management and environmental commitment. Reflecting the company’s commitment to continuous improvement, in 2011 Thomas Built Buses launched Saf-T-Liner® EFX, a redesign of its front-engine, transit-style bus. In 2014, Thomas Built Buses announced the new Saf-T-Liner® C2 CNG, slated for production in 2016. And earlier this year, Thomas Built Buses completed an $11.8 million expansion of its Type C manufacturing facilities. The century-old company currently operates several manufacturing plants in High Point, N.C. producing Type A, C and D buses and Type D chassis, and more than 50 dealers throughout North America provide sales and service. 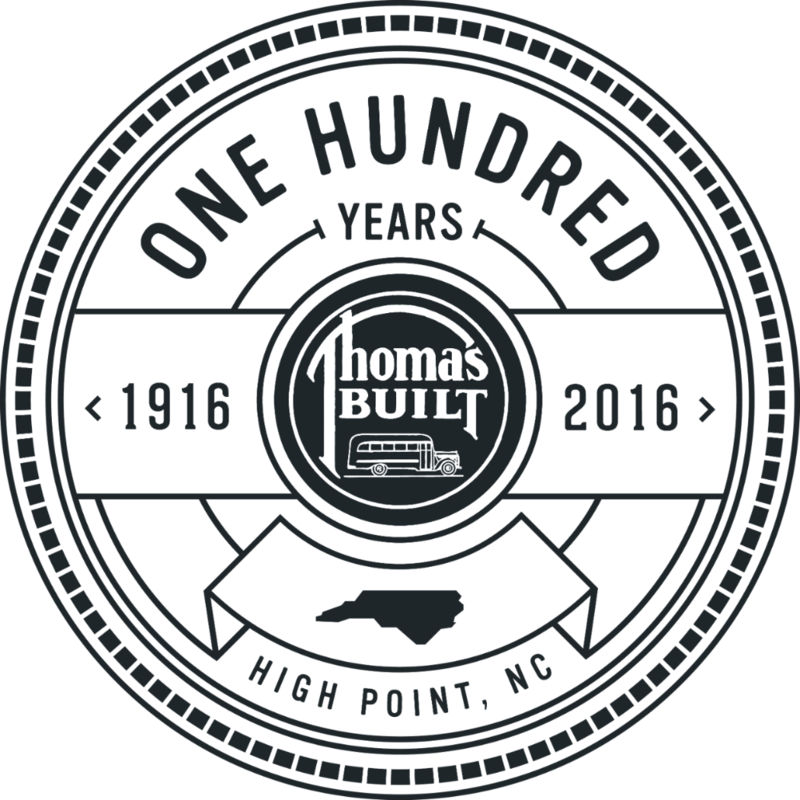 For more information customers should contact their local Thomas Built Buses dealer.